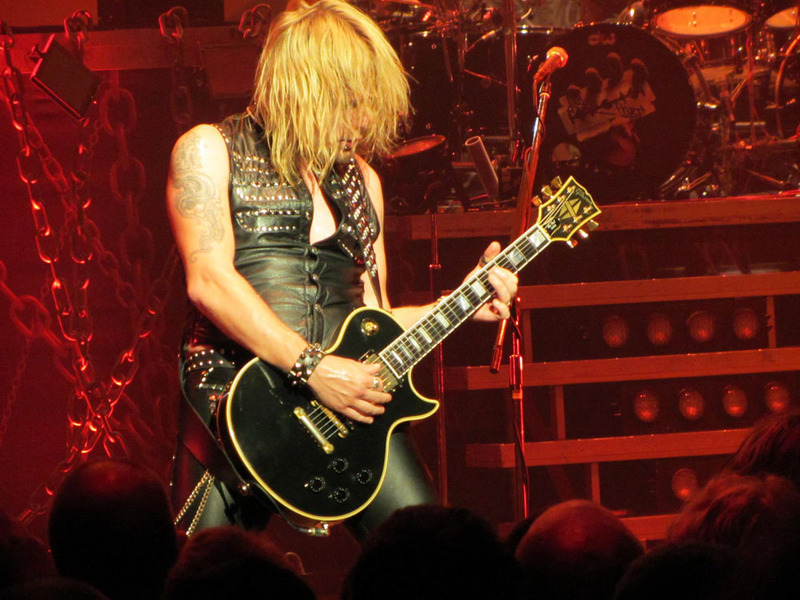 A classic metal evening and London's home of metal, and a very full and enthusiastic crowd enjoyed every minute. 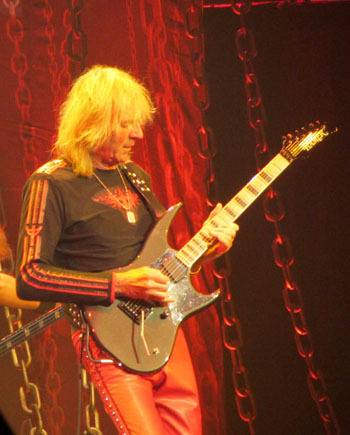 Sadly I missed the opening band, but I did meet Saxon guitarist Doug Scarratt before the show for a quick chat. Saxon kicked off at high speed with the early classic Heavy Metal Thunder, followed by 'Hammer Of The Gods', the latter from the band's latest opus 'Call To Arms'. Saxon, as ever, provided a solid and note perfect set, the only problem was the short running time, something the band were clearly frustrated by. The sound quality/mix was a little ropey to start but soon improved. 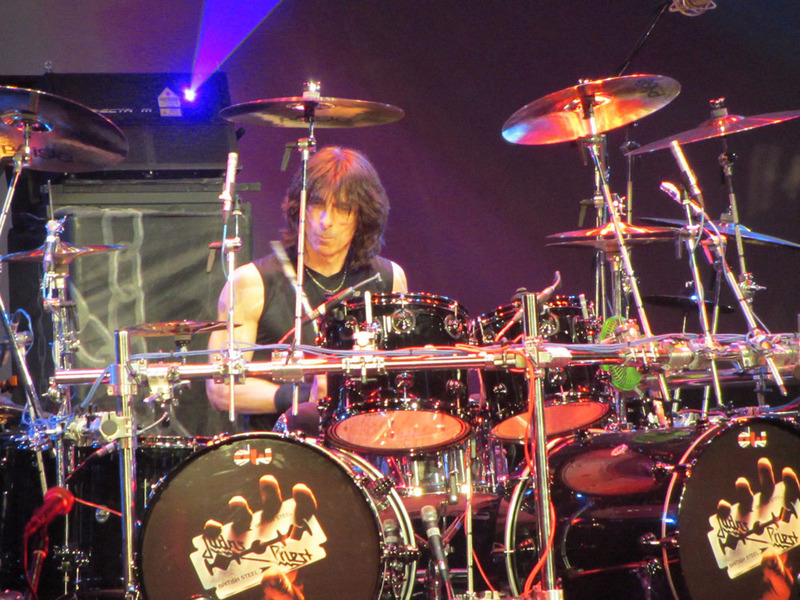 The guitar work was blistering, Nibbs Carter's bass work powerful and spot on. 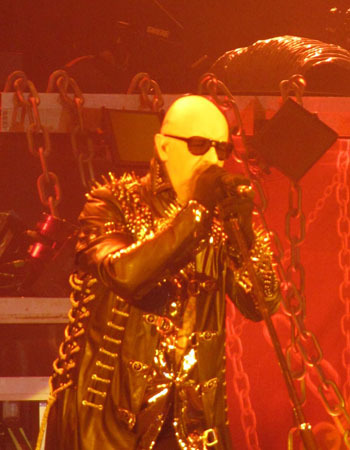 Singer Biff Byford was energetic and talked to the crowd often. 'I've Got To Rock' and '20,000 Ft' both went down well. Biff then offered the choice of 'Crusader' and 'Dallas 1PM', based on the crowd's cheer. 'Crusader' won, by far the better track, the minority who booed this sounding childish and petty. The rush through some greatest hits continued with '747' (no time for a singalong), 'Denim And Leather' and 'Wheels Of Steel', the classic 'Princess Of The Night' the perfect closer to a wonderful if short set. 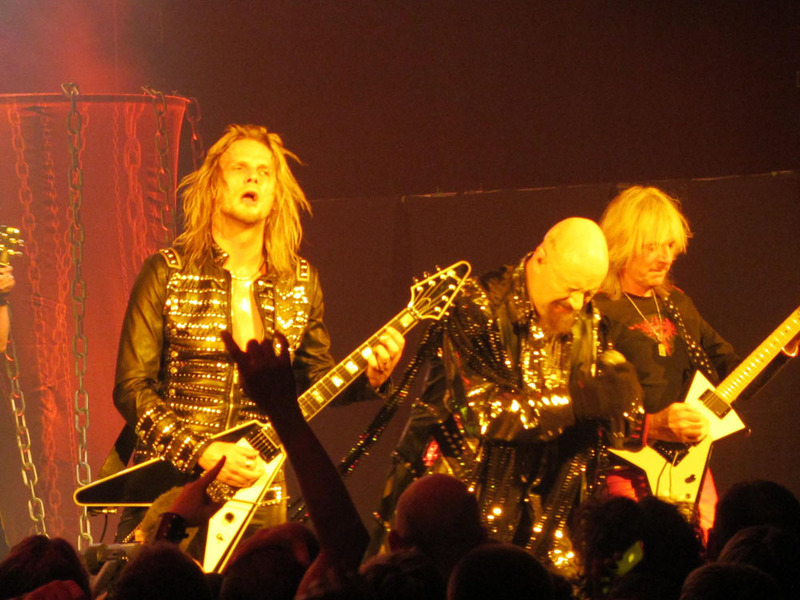 Judas Priest opened with 'Rapid Fire', a classic rouser, the band blistering from the start. This band's sound really defines classic metal and it was loved and lapped up this evening. 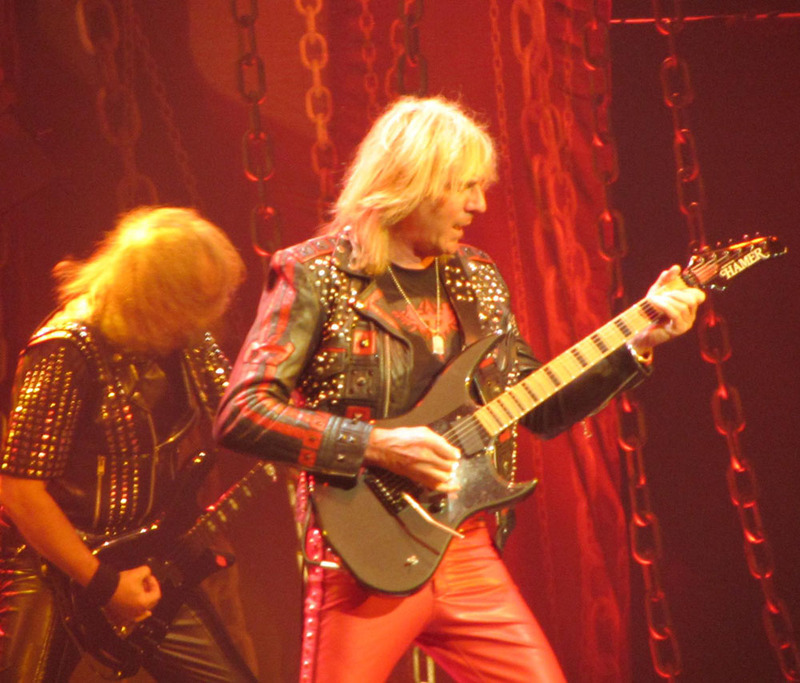 Ritchie Falkner and Glenn Tipton traded riffs and solos with aplomb throughout the evening, and with Rob Halford dropping the diving suit he was able to move around the stage more. In fact the band were better and tighter than when I last saw them. 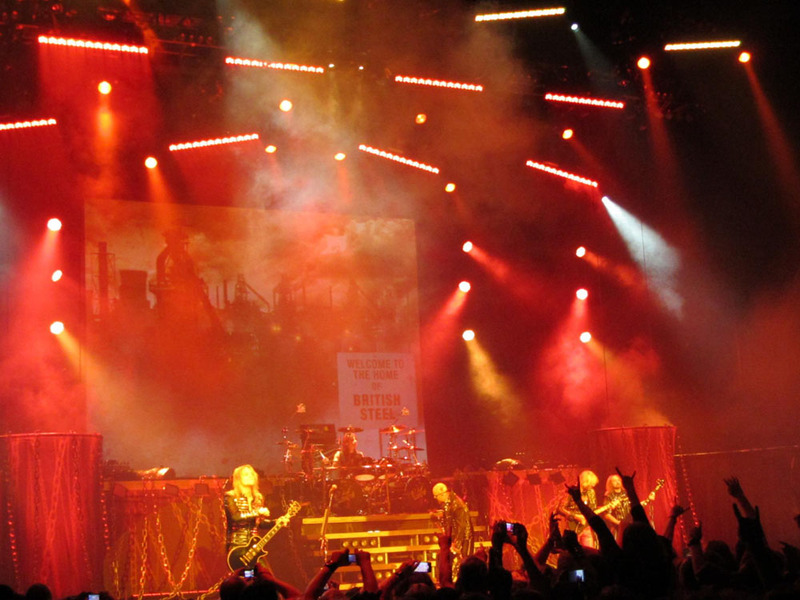 The relevant album's artwork for each track was projected onto the backdrop, interspersed with animated metal and mechanics, and flame bursts and lasers added to the effects. Tracks new and old sat well next to each other, from the classic 'Metal Gods' and 'Heading Out On The Highway' to 'Prophecy' and 'Judas Rising'. The darker edge to the later tracks worked well, Halfords voice handling the deep and the high well. Night Crawler was fast and solid and the more polished Turbo Lover was a highlight, receiving a huge cheer. 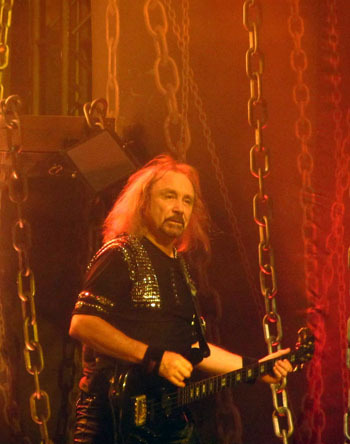 Bassist (and sole original member) Ian Hill was really on form, swinging his bass like a gunslinger and clearly enjoying the evening. A couple of covers the band have made their own, 'Diamonds And Rust' started off acoustically, and 'Green Manalishi' always a fan favourite. 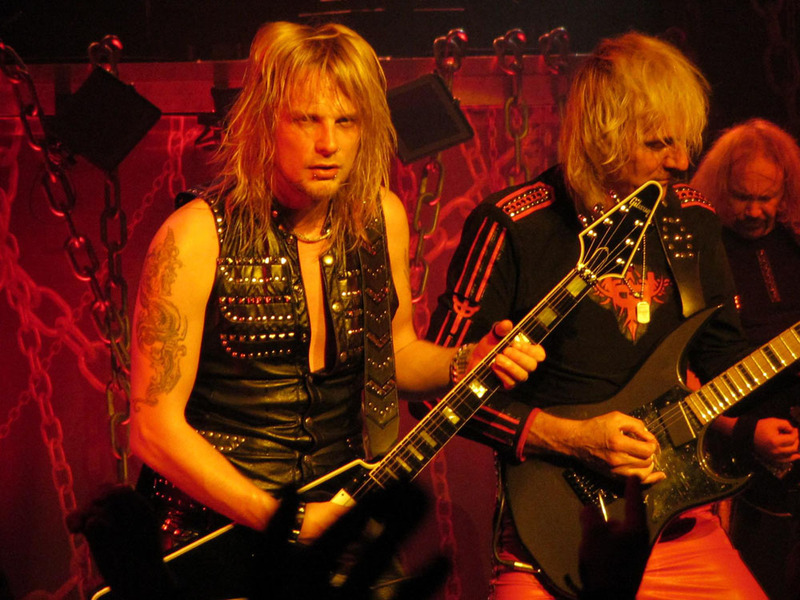 The set closed with 'Breaking The Law' (one of the most memorable and catchy metal singles of all time) and the speed metal infused 'Painkiller'. 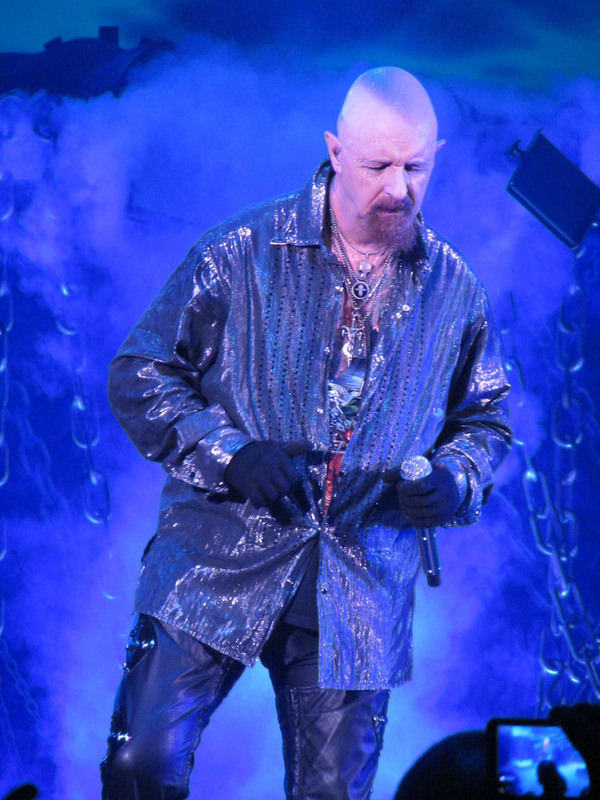 Halford talked to the audience frequently and the encore included a solo vocal slot, the crowd following suit. 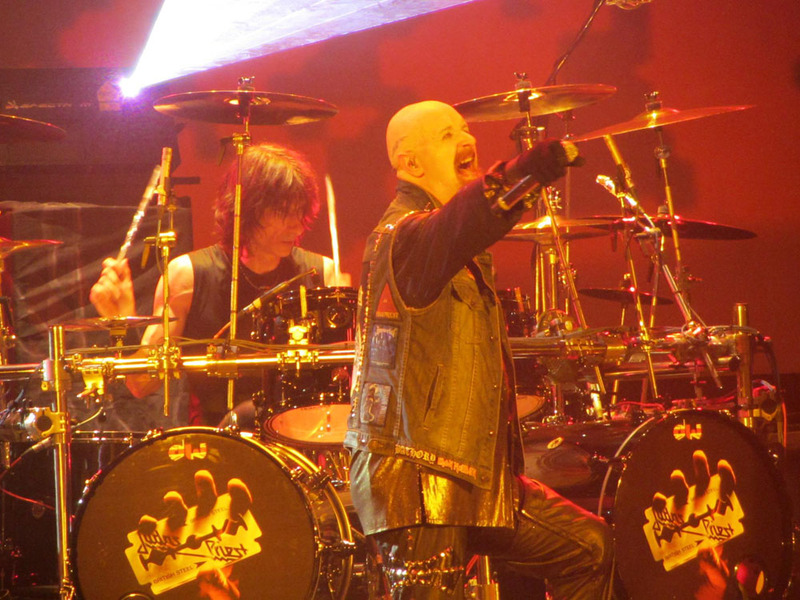 The encore opened with the normal set opener 'Hellion / Electric Eye', and 'Hell Bent For Leather' saw the motorcycle roar onto stage. 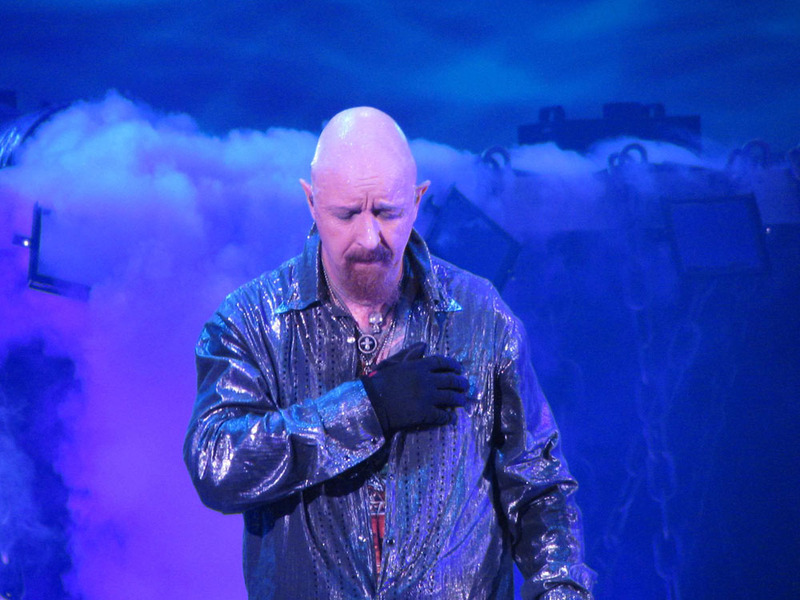 'Living After Midnight' finished the show and proved the Metal Gods are still going strong.